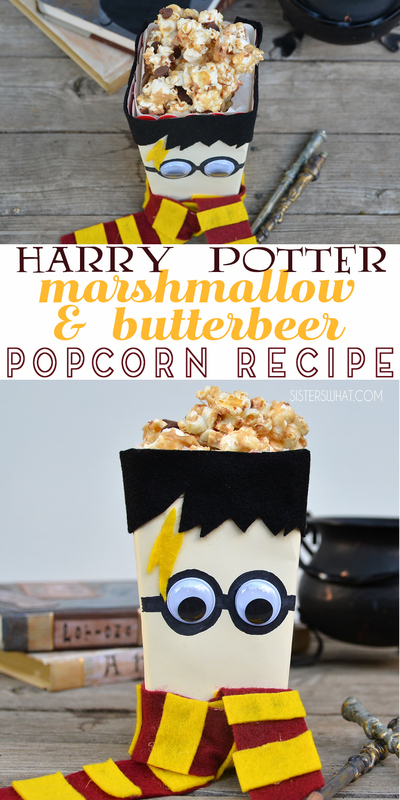 ' Harry Potter Marshmallow & Butterbeer Popcorn Recipe - Sisters, What! 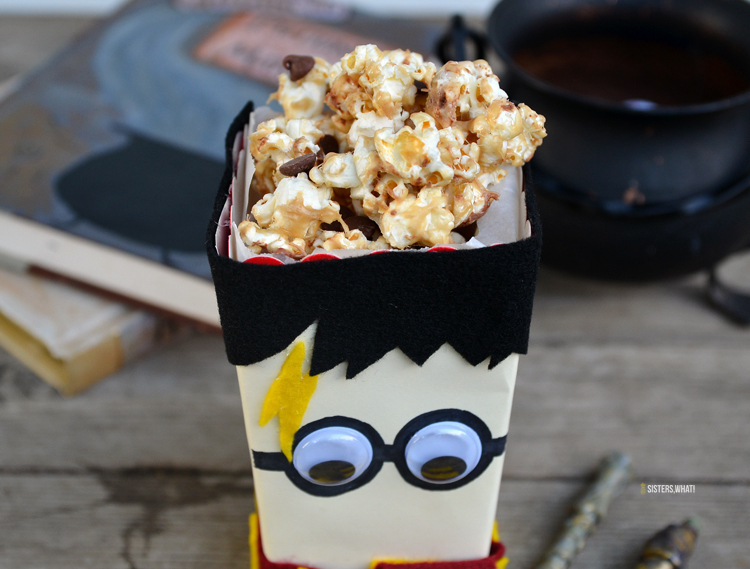 Eating butter beer popcorn is more fun in a Harry Potter popcorn box. 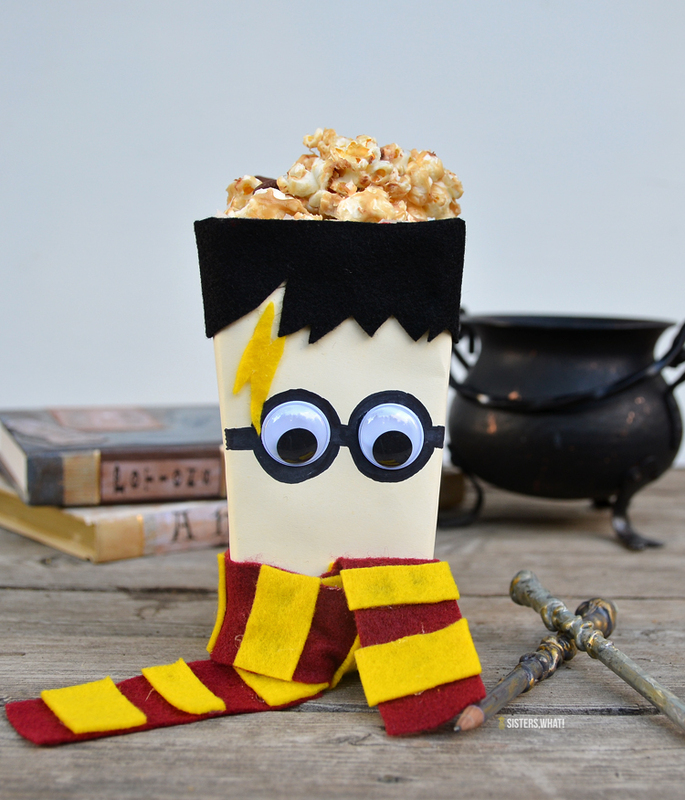 Perfect for any Harry Potter Party. When October rolls around, I love the pumpkins and October festivities. For quite a few years, we've added Harry Potter as part of our Halloween festivities. 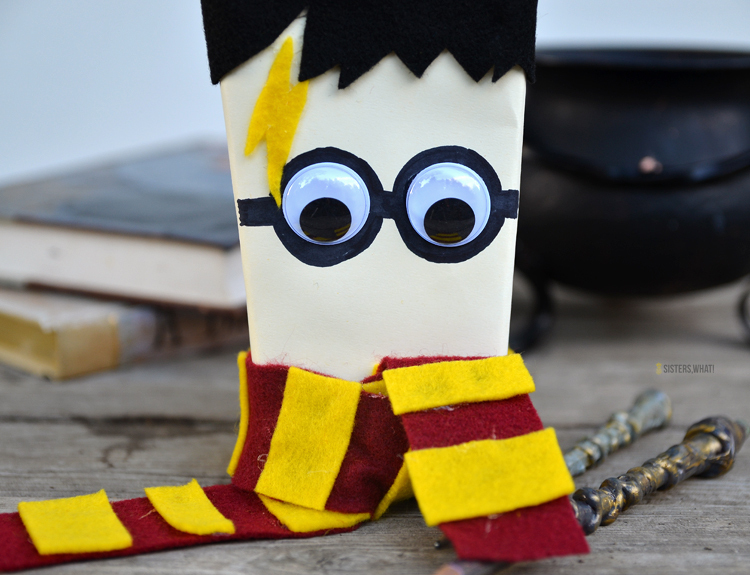 Such as my Monster Book of Monsters, Dobby House Elf Baby Costume, DIY Harry Potter Chopstick Wands, Harry Potter Textbooks and many more - click HERE. 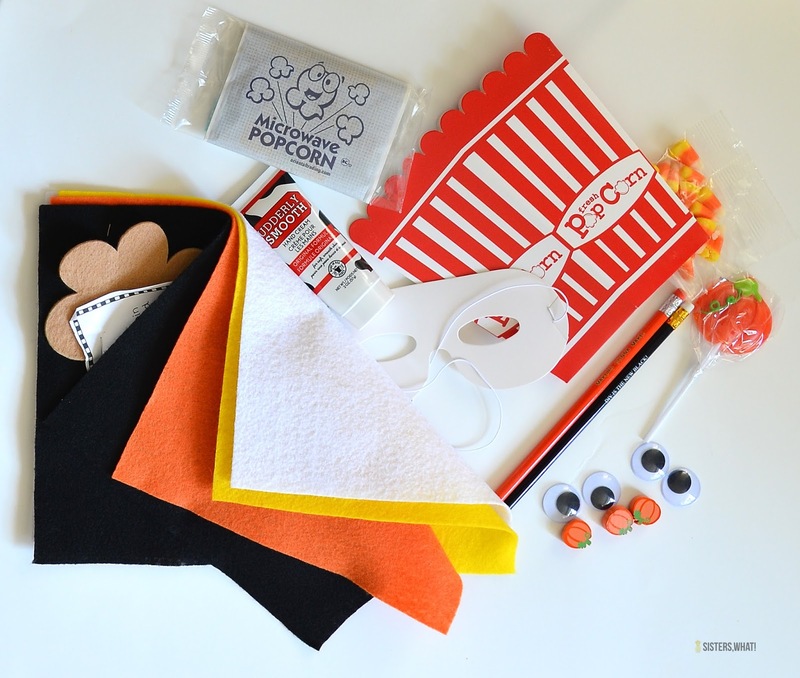 I'm joining in with a few other bloggers for a popcorn box challenge. 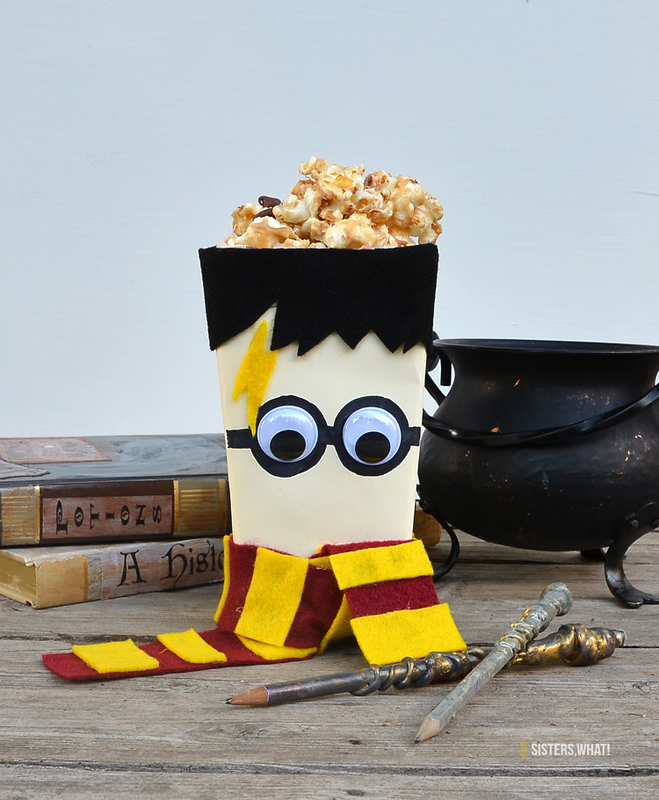 We were sent some supplies and a popcorn box and we had to upcycle it in anyway we like. So of course, I decided to do a Harry Potter box with my kiddos help. 1/4 cup milk chocolate chips. Pop your popcorn. 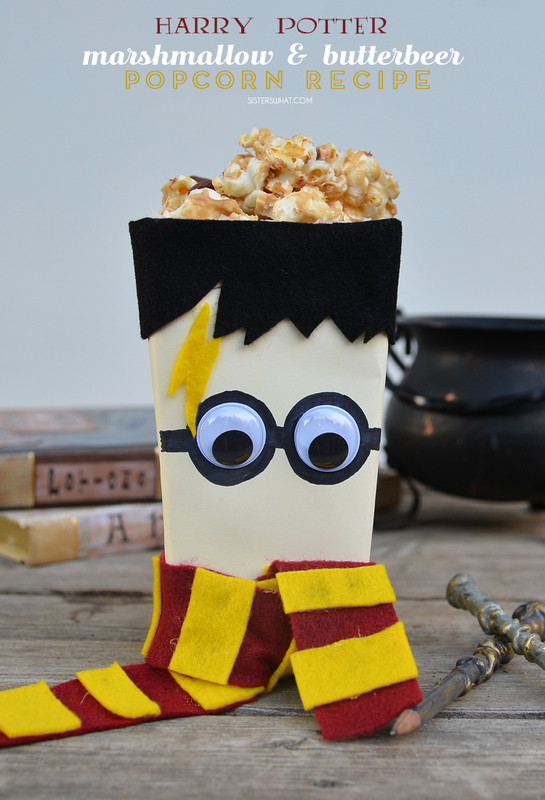 After it's popped, add your butterscotch chips and chocolate chips to the popcorn. Melt butter in sauce pan then add brown sugar, honey, marshmallows, vanilla and butter extract. Mix until bubbly. Pour mixture over the popcorn and mix. 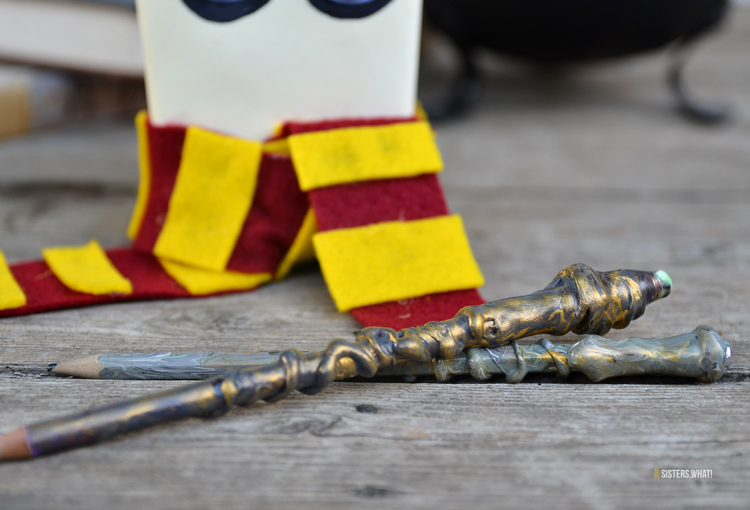 Make sure you check out my DIY pencil wands.